Thornleigh Golf Centre’s team of golf professionals are passionate about introducing the game of golf to kids. Our junior golf programs cater for all ages and skill levels with a greater focus on ability than age ensuring kids are spending time with peers of a similar standard each week. The Junior golf program caters for kids from the age of 4 upwards. Kids younger than 6 can participate in our Mini’s program and progress to our full junior golf program at the appropriate time. Our golf professionals have successfully taught children as young as 4. As long as your child is capable of standing and swinging a club and following instructions then our team can successfully introduce them to the joys of golf. Our main Junior Golf Development Program is run to coincide with the start of the NSW school terms, but we also run golf programs in the School Holidays. See details below for both of our upcoming School Holiday and School Term Golf Clinics with details of how you can book your child in online. We are big believers in FUN and want to ensure your kids develop their own passion for the game in a safe and enjoyable environment. Lesson Prices include balls and supply of clubs if required. Thornleigh Golf Centre is an approved provider for the Active Kids Program. You may be eligible to receive $100 off your registration fees for our Term Clinics. Claim your Active Kids Voucher Now! CLICK HERE to register and for all relevant information on the program. 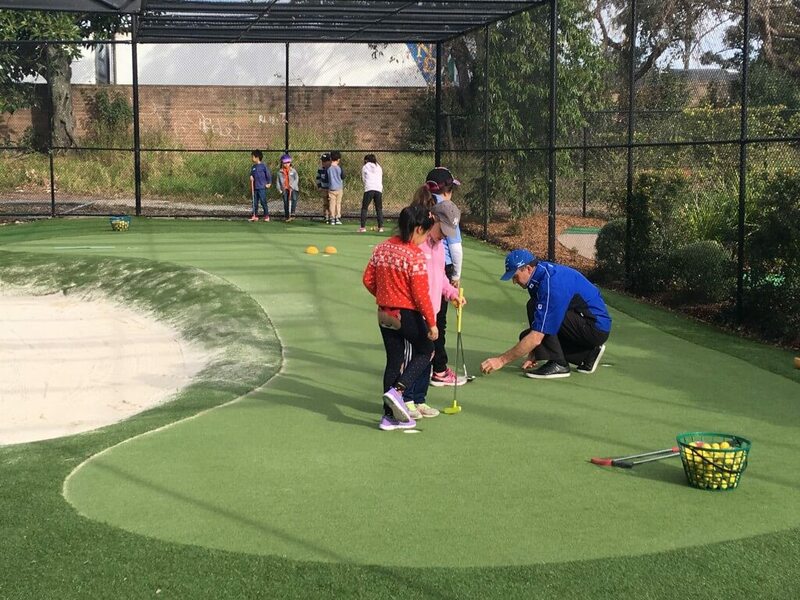 All Clinics include coaching with one of our qualified PGA Coaching Professionals, with Club Hire and Balls, two rounds of Mini Golf (on both the Palms and Billabong courses) as well as a Thornleigh Golf Centre cap that identifies them as part of our Junior Development Team. Note: All golf lessons for kids must be paid for on registration.